After Apple confirmed on Sunday that it has bought Israeli company PrimeSense, analyst Maynard Um of Wells Fargo Securities said he believes Apple will leverage the technology to add innovative control methods to its living room based efforts. He views the PrimeSense purchase as a good move for Apple, as the analyst feels the company was lagging behind rivals Samsung and Microsoft in that respect. "We believe the announcement may be an indication that Apple is in early preparation for a television offering or material functional improvements to its current Apple TV offering," Um said in a note to investors on Monday. 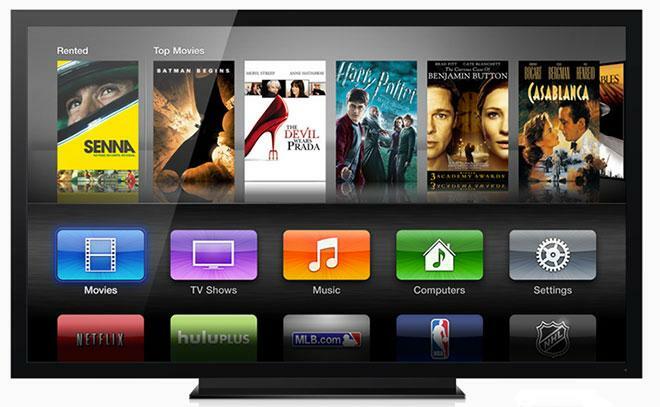 However, the analyst doesn't expect that Apple will release a television set in the near future. If the company were to develop and sell its own TV set, such a device is "unlikely" to be released in 2014, he believes. The three-dimensional motion tracking technology was most famously used by Microsoft in its first-generation Kinect sensor for Xbox 360. Since then, with its new Xbox One game console, the next-generation version of Kinect has switched to technology from Microsoft-acquired companies 3DV and Canesta. Outside of Kinect, PrimeSense's technology has been found in devices such as iRobot's Ava healthcare robot and Matterport's full-color 3D scanners. In those devices, PrimeSense's sensors are used to create a three-dimensional model of the environment for navigation and human interaction. The price tag for PrimeSense is said to be be between $345 and $360 million. Bloomberg pegged the deal at $350 million, though Apple has not revealed how much it paid. Apple has a history of buying highly specific companies for key features in upcoming products. Its acquisition of PA Semi for $278 million in 2008 paved the way for custom A-series chips in the iPhone and iPad, while the purchase of Lala for $85 million in late 2009 set the stage for iTunes Match and iTunes in the Cloud. More recently, Apple bought AuthenTec, maker of fingerprint scanning technology, in 2012 for $356 million. Just over a year later, that technology was introduced as Touch ID, the new secure fingerprint sensor found in Apple's flagship iPhone 5s.